It’s been a few months since we released our enhanced DWG styling and feedback has been encouraging. However, some users prefer to work with a black and white map. Fig 1. 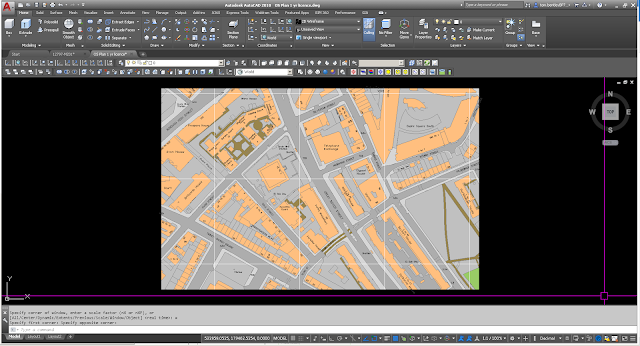 DWG file containing Ordnance Survey Mastermap loaded within AutoCAD. In this option, the MPolygons will be deleted from the drawing. This will only leave the line work. Open your map (see Fig 1). 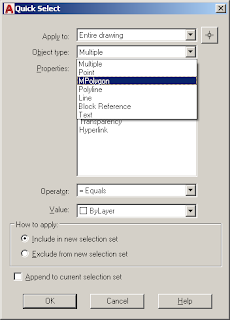 Select 'MPolygons' from the Object Type and 'ByLayer' for the Value. Select OK (the MPolygons in the drawing will now be selected). Press Delete (this deletes the MPolygons leaving just the line work). Fig 2. 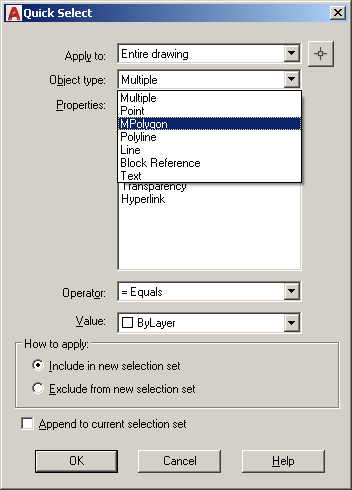 Selecting MPolygons using Quick Select. 2. Switch off the display of Hatching / MPolygons within AutoCAD. 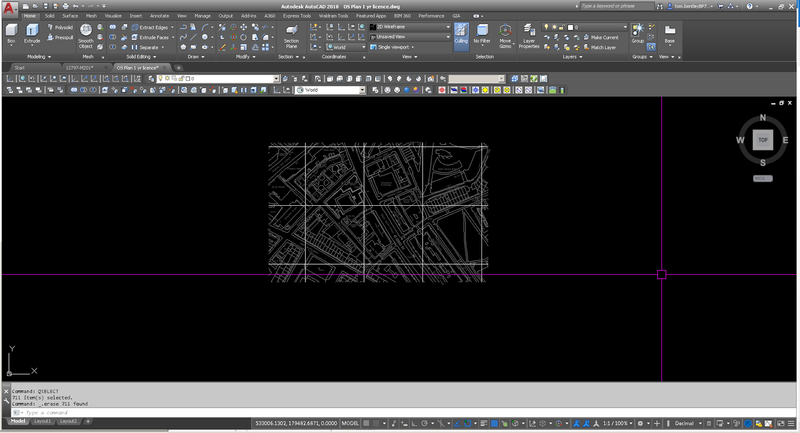 If you don’t need hatching/MPolygons for your day-to-day work then you might prefer to configure AutoCAD not to display them. You may need to regenerate the view to display these changes. Fig 3. The resulting DWG without MPolygons. Please note that this will turn off the hatching/MPolygons for all drawings. Should you require them you’ll need to turn them on again. If you have any questions or comments please contact us on support@findmaps.co.uk or call 0845 521 1410.